So here I am! And I’m pretty pleased with how this look turned out – natural yet glowing I think! Starting with the base I went primer free for a change and just used the Laura Mercier Silk Crème Photo Edition Foundation in Ivory, this shade is slightly on the yellow side for my skin tone, but it actually looked great once I’d blended it in! Luckily my skin is in pretty good nick at the moment, I have to say wouldn’t recommend this foundation if you have dry skin – it’s one of those foundations that look great on normal skin, but will definitely highlight any dry areas if you have them. It gave fantastic coverage though and I’d highly recommend it if you’re on the hunt for a decent foundation. I set my foundation with the Too Faced Cocoa Powder Foundation in Fair, which is fantastic as a foundation and a setting powder. It’s really well pigmented and it didn’t make my skin feel dry. I then contoured lightly with my current favourite contouring product, the Rodial Instaglam Deluxe Contouring Powder – this stuff is fantastic if you have a fair complexion like I do, as you physically can’t go too heavy with it. I then used the Butter London Cheeky Tinted Highlighter in Twit and RMK Vintage Candy Cheeks in 02 Candy Rose to highlight and give my cheeks a bit of colour. Twit is a gorgeous bronzy gold which will look fabulous on tanned skins – I know I’ll be getting a lot of use out of it this summer. I then finished my face with my trusty MAC MSF Duo in Jolly Good to give my complexion an all over lovely glow. For the eyes I went with the SUQQU Blend Colour Eyeshadow Palette (see close up below) I love this palette, the colours are just stunning (please see below for rant about how much I love this palette!). I also used my Bourjois Stylo Eyeliner Pencil in Noir, which is a really nice soft black shade, it’s not intensely black so it’s perfect for a not-so-heavy day look. 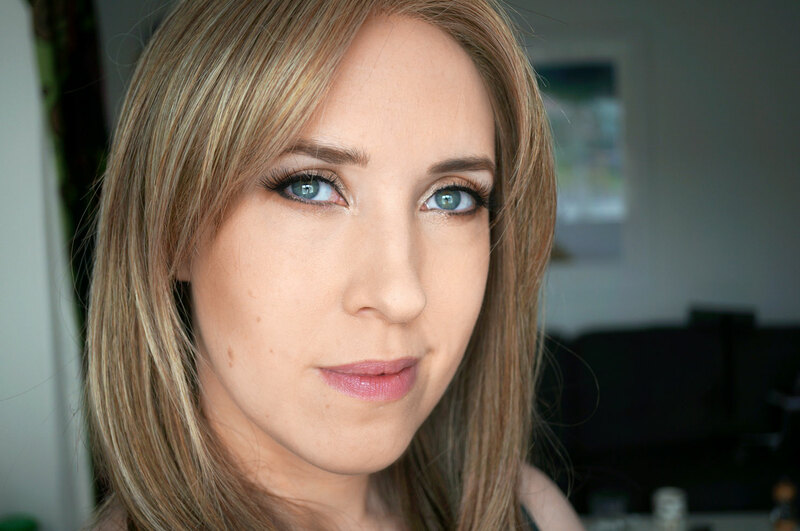 I finished off my eyes with some false lashes because my natural lashes are super short – but I have no idea which they are I’m afraid. They’re likely to be by Eyelure ones but I’m not sure which set exactly as they weren’t in their original packet. I finished off the look with the RMK Vintage Drop Lip Gloss in 01, apart from looking super cute, this gloss gives a fabulous high shine yet non-sticky finish. It’s also really hydrating which is a bonus if your lips tend to be dry like mine are. 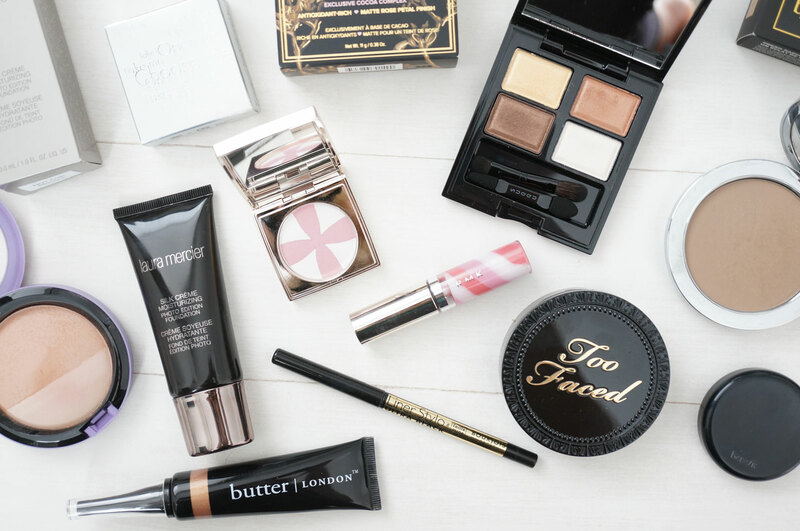 At this point I was going to go through and tell you which of these products I’ll be adding to my makeup bag, but I actually love all of them so I’m basically going to have a massive makeup bag overhaul! What a great look, love the eyeshadow!